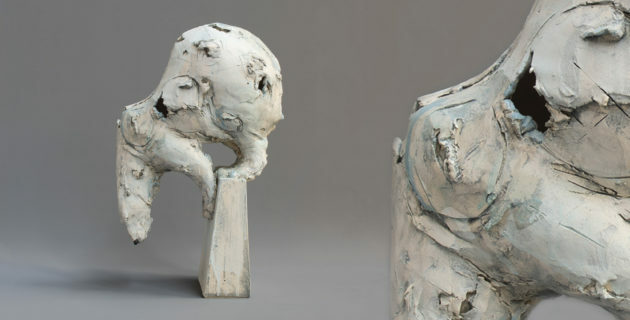 Brendan Hesmondhalgh is a British contemporary figurative sculptor, best known for his unique handmade ceramic and bronze sculptures of animals. 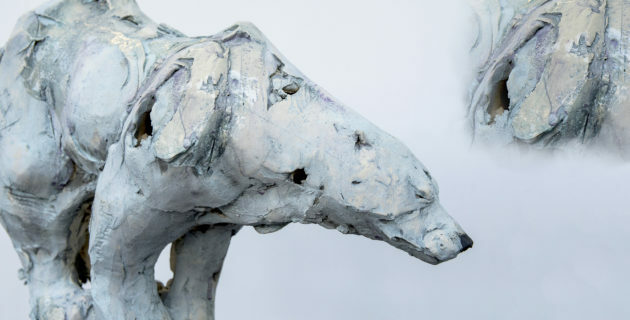 Using slabs of clay or sculptural wax, Hesmondhalgh wraps, layers and controls the medium to create one-off pieces that capture elements of character, form and movement of each individual creature. He was born in Lancashire, England in 1973 and spent some time in North Wales before studying at a sculptural ceramic course at Edinburgh College of Art in 1994. He spent 18 months as an artist in residence at Drumcroon Arts Centre where he worked with children in art workshops and developed his own work. He then pursued his freelance career after a move to Yorkshire in 1998. In his early work he illustrated animals in both two and three dimensions and enjoyed the freedom of expressing his ideas on a life-size scale. Hesmondhalgh began working on monumental pieces after gaining a number of public art commissions. 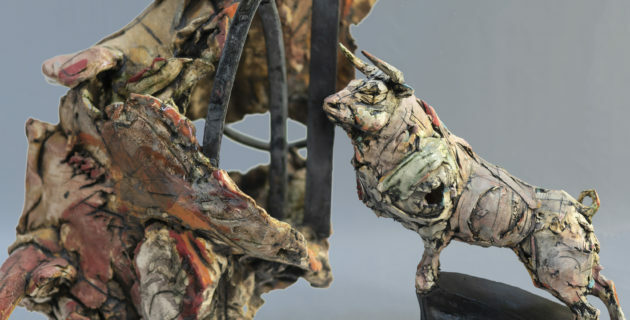 In some of these sculptures he experimented with animals on plinths and geometric bases which intensified the creature’s stature and allows for a greater contrast. The surface remains a focused element that he continues to develop, adding colour, directional and textural marks to enhance each form. Sculptures vary in stature with limited edition miniature collections produced through to those with monumental dimensions. Figures stand-alone or as part of a group.